Dogs have smell receptors 10,000 times more accurate than humans', making them highly sensitive to odors we can't perceive. A new study has shown that dogs can use their highly evolved sense of smell to pick out blood samples from people with cancer with almost 97 percent accuracy. The results could lead to new cancer-screening approaches that are inexpensive and accurate without being invasive. 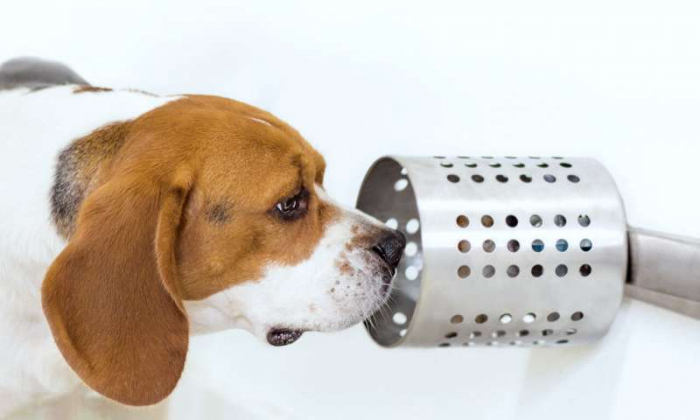 For the new study, Junqueira and her colleagues used a form of clicker training to teach four beagles to distinguish between normal blood serum and samples from patients with malignant lung cancer. Although one beagle—aptly named Snuggles—was unmotivated to perform, the other three dogs correctly identified lung cancer samples 96.7 percent of the time and normal samples 97.5 percent of the time. BioScentDx plans to use canine scent detection to develop a non-invasive way of screening for cancer and other life-threatening diseases. As a next step, the company launched a breast cancer study in November in which participants donate samples of their breath for screening by trained cancer-sniffing dogs. The researchers also plan to separate the samples into their chemical components and present these to the dogs to isolate the substances causing the odor that the dogsdetect.